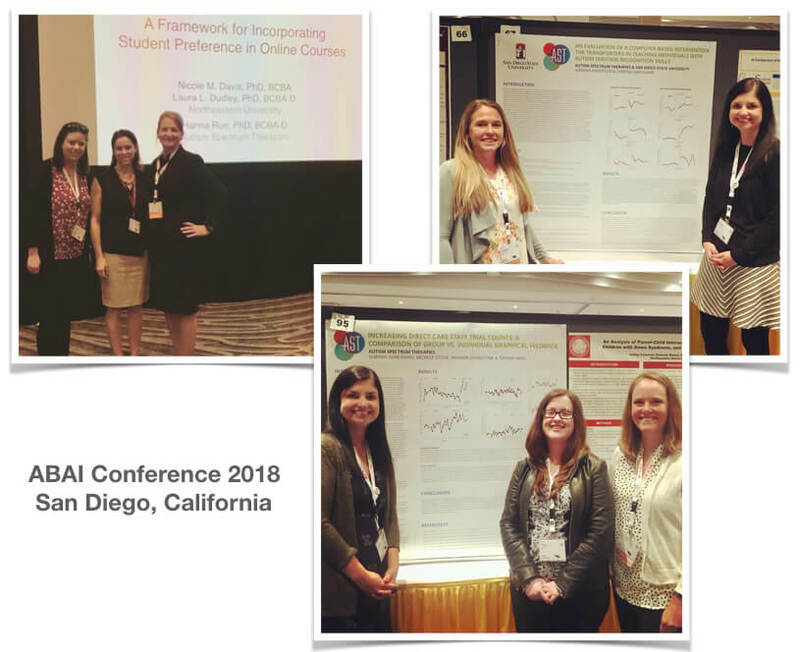 Our own Dr. Hanna Rue was third author on a symposium presentation alongside her Northeastern colleagues at the ABAI conference in San Diego. They are evaluating student preferences in online grad programs in ABA. The symposium also included presentations from faculty at Ball State and University of Alaska Anchorage – all looking to improve online learning in ABA. We also had two great poster presentations at ABAI, Sabrina Daneshvar and Adriana Anderson presented their work on Computer-Based Intervention for Teaching Emotion Recognition Skill. Congratulations to Tiffany Hays and Amanda Johnstone for their first poster at ABAI!! We are so proud of all the great research projects are staff are pursuing.